Despite popular belief, not all celebrities are selfish. Just like Emma Stone, these stars go the extra mile to be kind to their fans and other people. Question: Is Emma Stone perfect? Answer: Yes. The 25-year-old actress was spotted catching a plane at the Los Angeles International Airport on Monday, just a day after presenting the very-absent Woody Allen with the Cecil B. DeMille Lifetime Achievement Award at the Golden Globes, and she didn’t hesitate to pose for photos with a swarm of eager fans. Not only is she precious, but the fact that Stone agreed to take pictures with her fans while rushing to catch a flight, well, this makes her pretty darn amazing. Look at her! We melt. For us Canadians, New York City is a wondrous and terrifying place… Mostly because it has a crime rate surpassing our entire country’s and only a fraction of the population. Yet Ryan Gosling did not hesitate to jump in and break up a fight in broad daylight while in the city, making him our hero. Captain Canada, right there! 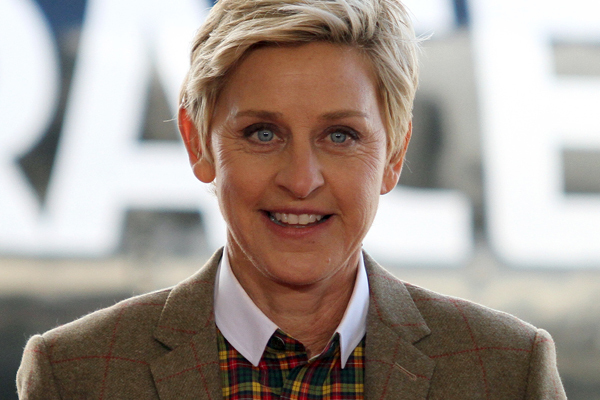 It’s no secret that Ellen DeGeneres is a generous woman. She helps people on a daily basis through her show and off camera. From helping those affected by natural disasters, those out of jobs during the recession and those just less fortunate, Ellen is akin to Oprah in her charitable endeavours. Johnny Depp is the bomb-diggity — fact. In response to a young fan’s letter, the actor dressed up as Captain Jack Sparrow and visited the girl’s school in London with a crew of fellow miscreant pirates. We can’t even imagine the excitement of seeing your favourite movie character in your very own classroom. Well done, sir! Mila Kunis performed a very sweet deed when she accepted an invitation from Sgt. Scott Moore (an Afghanistan veteran) to the Marine Corps Ball in 2011. But let’s be honest: Who can resist a man in a uniform? Do you have any stories to share about kind celebrities?